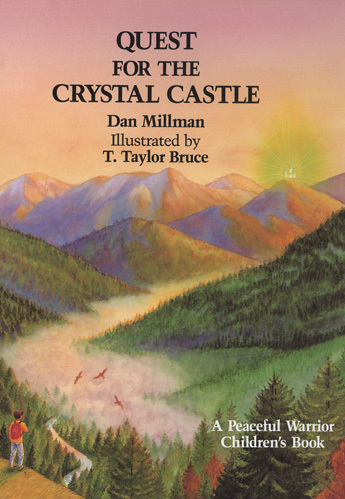 Young Danny makes a “heroes journey” through an enchanted forest, teaches through his mystical adventure, the power of kindness, perseverance, and courage as he helps to save some forest creatures, and himself. This is a story of survival on a quest toward his highest goals. This book highlights each child’s ability to overcome life’s obstacles. This magical adventure mirrors the story of my own childhood journey through life. I had intended to write one children’s book (Secret of the Peaceful Warrior) just to explore the genre. But Quest just appeared to me one morning, in a flash, and the story unfolded before my eyes. I wrote it in two hours, then worked for many days to polish and refine it. I receive many letters from parents and grandparents telling me how youngsters want to hear it again and again.